In addition to being very painful, their appearance can be less than appealing, especially to those who enjoy wearing shoes that reveal their toes. For patients that have pain from this condition, surgery is usually required to alleviate or eliminate their pain. Conservative care such as padding, injections, inserts, orthotics and wider shoes can be helpful in reducing pain, but no conservative treatment exists to return the toe to a more normal alignment. The vast majority of surgeries for bunion correction involve cutting the 1st metatarsal bone, which is the bone inside the foot behind the great toe. Unfortunately for the patient, that means making an incision, which inevitably will heal with a scar. Most bunions are repaired with an incision to the top of the great toe joint. The majority of surgeons will close this incision with nylon sutures to the skin, that can lead to a thicker scar that has the appearance of railroad tracks when healed. As the surgeon, there are two ways we can create a more cosmetic/aesthetic result, while at the same time obtaining the same surgical correction. 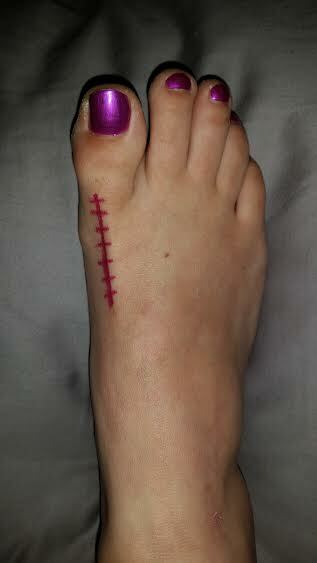 An incision to the top of joint in the same manner as the average bunion procedure, but is closed with absorbable sutures underneath the skin using a plastic surgery technique. If scar appearance is a great concern, an incision can be made to the middle of the joint at the interface of the top and bottom of foot. 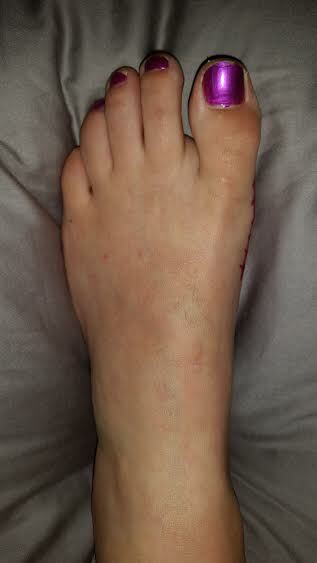 This technique still results in a scar but because it lies on the side of the foot, where it is not visible in an open toed shoe, and less conspicuous when walking barefoot. Cosmetic closure with a plastic surgical technique results in a thinner scar, which after healing is more difficult to notice on casual inspection. The removal of sutures is less tedious and less uncomfortable for the patient during removal. 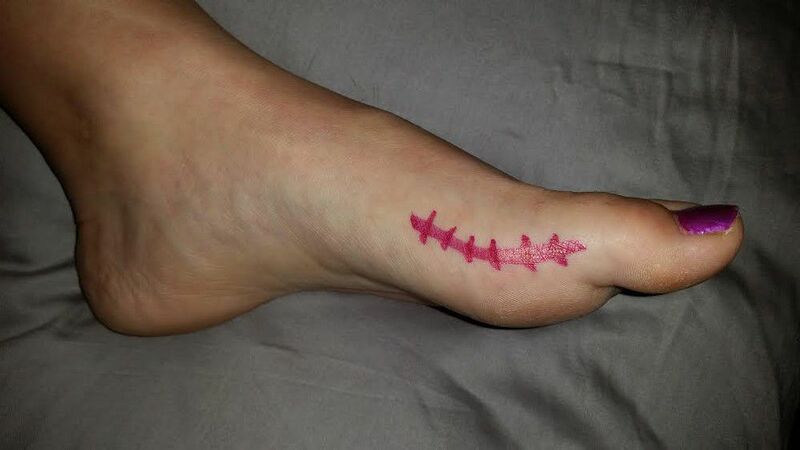 An incision to the middle of the foot carries with it a very small increased risk of nerve discomfort after surgery, as scar tissue can develop near or around nerve. In the rare situation that this occurs, steroid injection will usually take care of it. Having bunion surgery does not mean you have to trade a visually unappealing bump, for a scar that is unsightly as well. For patients that suffer with pain from bunions, cosmetic/aesthetic incision placement can result in a much more appealing result while at the same time eliminating pain!